MOXI -- The Wolf Museum of Exploration and Innovation -- opened in Santa Barbara, CA in early 2017. It recently celebrated its first birthday, and has welcomed over 175,000 visitors in its first year. MOXI's mission is to ignite learning through interactive experiences in science and creativity. The museum has garnered numerous accolades during its first year, including being listed by Fodor's Travel as one of the top 10 new museums in the world. MOXI’s three floors are filled with interactive and hands-on exhibits and experiences. MOXI believes in the importance of art and creativity, and supporting that belief, has dedicated two museum spaces to rotating 3-month interactive media artworks. These spaces are the Interactive Media Theater and the Bridge. This call represents MOXI's first open application process for artists and art collectives to propose works for 2018-2019. For reference, recent artworks have incorporated elements such as Kinect-based body interaction; camera-based interaction, virtual reality and augmented reality. The design language of MOXI, on every floor, invites visitors to interact fully. As a result, exhibits must be designed to be highly durable and robust to any kind of interaction from adults and children, including climbing, hanging, pushing and pulling. Following the close of this call, applications will be reviewed by MOXI's Curator of Interactive Media and the MOXI Exhibits staff. Up to six qualified applications will be chosen, and those artists will be offered $200 each to develop a more detailed exhibit proposal including drawings, detailed budget and reference letters; and to have one or more interviews with MOXI's committee. - Quality of the artist's past work, both aesthetic and technical, as represented by the media submissions. - Experience of the artist in creating interactive artworks. - Experience of the artist in successfully designing, fabricating and completing public artworks that are highly durable and robust; on time and within budget. - The artist's training, education and artist statement. 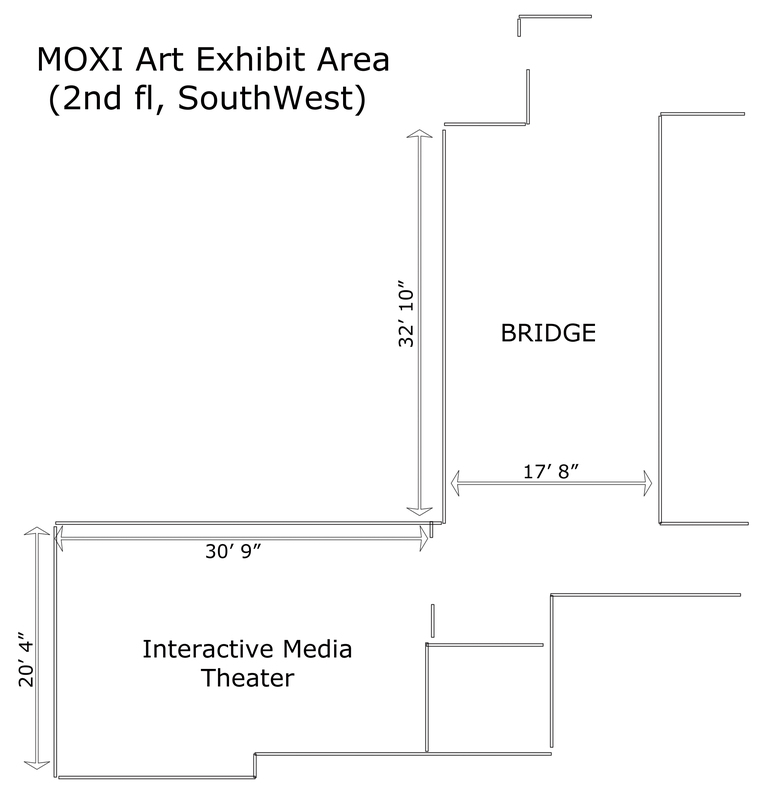 - Quality of the proposed interactive exhibit and alignment with MOXI's mission and audience.